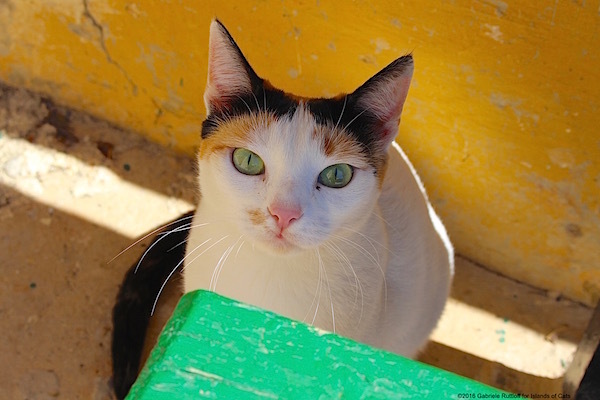 Watching her clowder gather for a meal in Żebbuġ, Gozo. 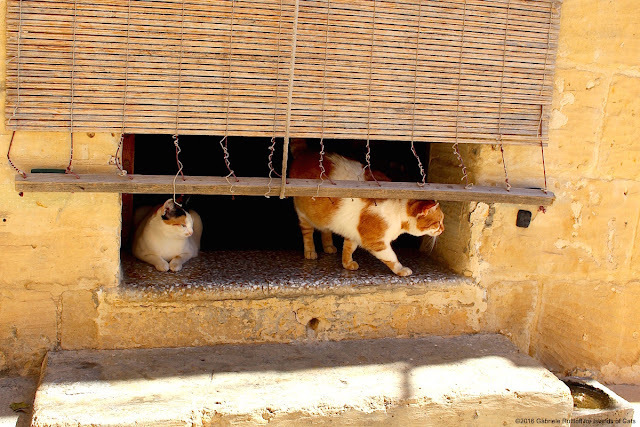 For the book "Islands of Cats - the humble Stray Cat Carers of the Maltese Islands", 6 of the 22 stray cat carers portrayed were visited in Gozo, namely Żebbuġ, Xlendi, Fontana, Għajnsielem, Qala, and Rabat (former brit. Victoria). 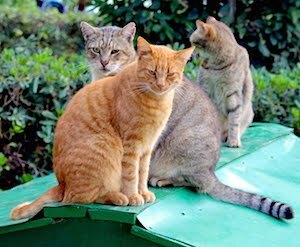 While the book highlights the work of the stray cat carers, for this post, the stray cats of Gozo are the stars, photographed at around feeding time during the winter months. Enjoy the view. 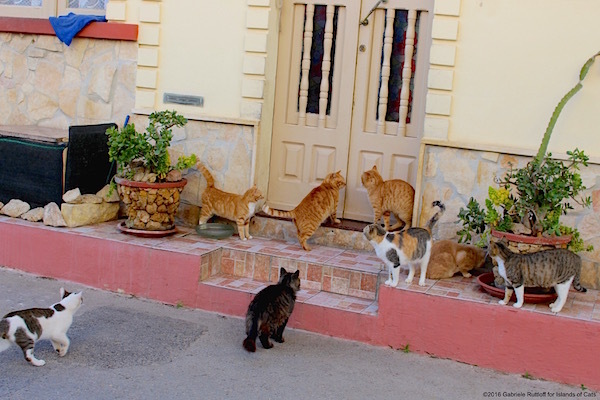 Knocking at the Stray Cat Carers door. It's feeding time !! Żebbuġ, Gozo. Hello. 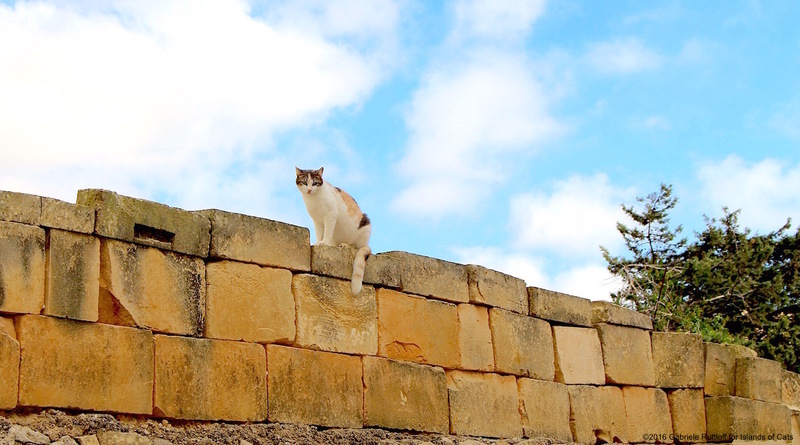 I live in Għajnsielem, Gozo, too. 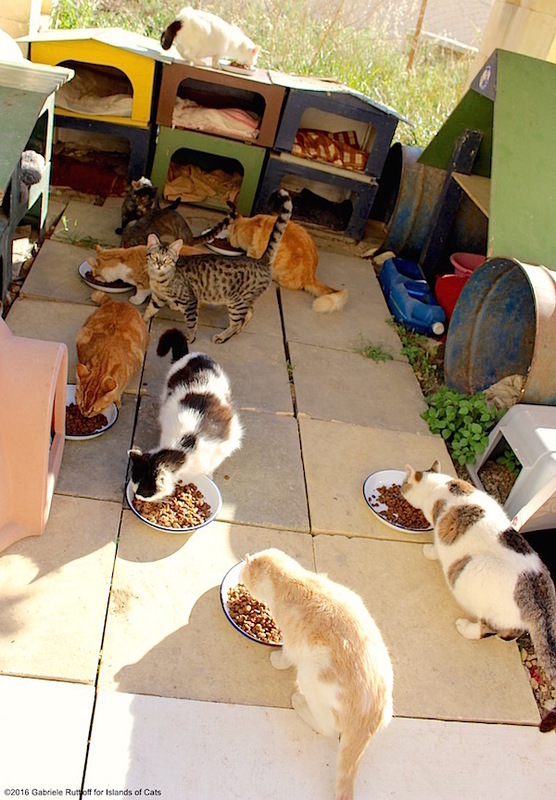 Feeding time at the SPCA's Cat Café in Gozo's capital Rabat (former brit. Victoria). 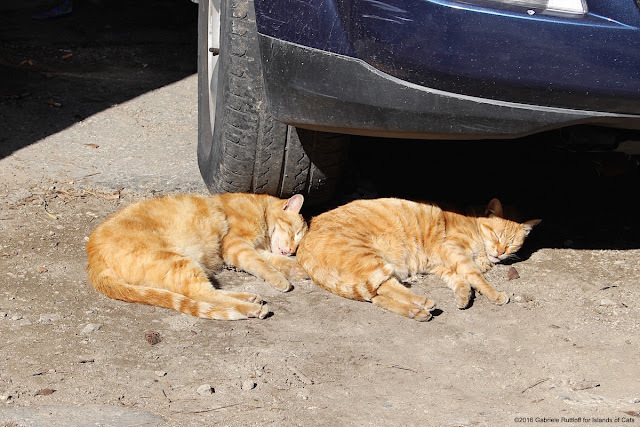 Anywhere in Malta or Gozo: After the meal, snoozing in the sun. The shelter of a parked car is always welcome.